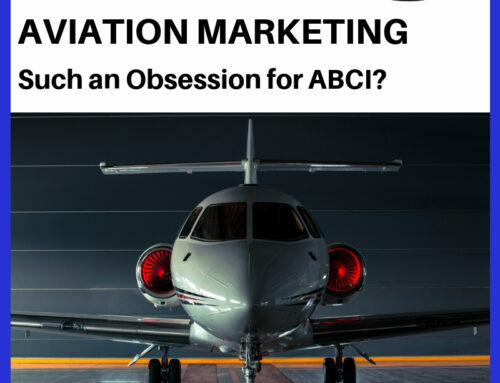 Aviation B2B marketing strategies are different from the retail marketing most people learn in business school. This is true for TWO reasons! John and I talk about the differences, and how to be successful at this very specialized niche. Some of the terms that come up with en we start talking with a new client about B2B marketing strategies and how they vary from other types aviation marketing, they say, “less personalized” or “more formal.” Neither of those are true, in our experience. But there are key differences. 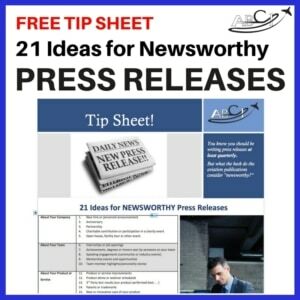 Transcript – Aviation B2B Marketing Strategies that Work! Paula Williams: Welcome to Aviation Marketing, Hangar Flying episode number 90, B2B Sales and Marketing. So I’m Paula Williams. John Williams: I’m John Williams. John Williams: To help all you ladies and gentlemen out there in the aviation world some products and services. Paula Williams: Absolutely, so if you have any questions, comments or complaints about this [LAUGH] or any of our podcast or anything else that we write or Tweet or anything else. You can use the #AvGeekMarketing and we are more likely to be able to find your comment and respond. So we love to have you guys participate, it makes it a thousand times more fun, right? Paula Williams: Okay, so big ideas today. B2B is still person to person marketing, right? Paula Williams: Yeah, B2B requires longer campaigns. You’d be amazed how much longer sometimes. John Williams: It’s kind of hard for business to sell to another business without talking to somebody. 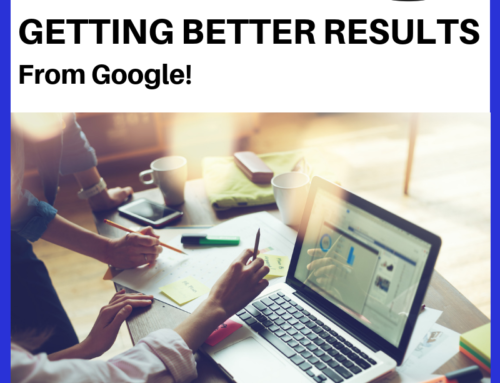 Paula Williams: Absolutely, and we’ll also talk about some tools for B2B sales and marketing that we like. John Williams: Go for it. Paula Williams: All right, okay, so first of all, B2B is still person to person, right? Paula Williams: Okay, and actually, [LAUGH] executive or personal branding is still important. Or actually even more important than it is in business to consumer marketing because you actually have more people to convince. And also, the stakes are higher in Aviation B2B marketing strategies because there’s usually larger transactions, right? John Williams: Yes, there is. Paula Williams: Okay, there was a comment. Okay, buyer personas are also still important or more important. So those are kinda the two things that we wanted to talk about about B2B being person to person, right? John Williams: Talk about, about? Paula Williams: Talk about, about B2B being person to person. So first of all, executive branding is actually more important than it used to be. And there’s an article in Forbes, Grant Wickes, an executive branding specialist, says that senior executives must create and develop their own personal brand. Buyers want to know the how and the why of your company. And they trust leaders behind the companies, they do business with. Some companies have adapted to this evolution and some have not. And executives are most guilty of not embracing the new paradigm. Some feel that there’s no need, but the companies that do have a known and at least semi famous persona behind the company. You can think of Elon Musk behind Tesla and SolarCity now and also SpaceX. You can think of Richard Branson behind Virgin. I mean there’s a lot of executives that really add a lot of credibility to their company by developing their own personal brand, right? John Williams: And even though you may think there’s no need, the people you sell to are changing almost daily. Not just the people themselves, but their approach and attitudes. Paula Williams: Absolutely, they would rather trust a person than trust a company, because companies are getting a pretty bad rep lately. So they’re basically want to do business with the person not with the company. The other thing is that buyer personas are more important when you’re doing business to business, because it really is person to person. You really have to do two sets of personas. One is kind of on the company. Not that a company can have a persona but a profile maybe, if you want to call it that. Where you put together things like the geography, the size, the life cycle. Is it a startup, is it an established company? What’s the business culture? Is it kind of an IBM like traditional kind of a culture or is it a Google like fun kind of a culture? Paula Williams: Company persona, but there are individuals within that company as well. And those individuals have an age and gender, a title and a role, a career path, they have their own pain points and frustrations. They have their own goals and things like that. And kind of a kicker here, is that you might have ten different individual profiles, right? Within that company that you have to cater to in order to make a business to business sale. John Williams: CFO and so forth. Paula Williams: Yeah, the CFO, the guy that writes the checks, everything down to the person that sweeps the floor might have an opinion. You don’t know how much influence they might have in that company until you get in and start working with that, right? Paula Williams: Right, so it is a lot more work than business to consumer sales. But then again, one transaction here might be millions. Whereas, a transaction to a human is usually much smaller or an individual person, right? John Williams: Well in B2C, yes. Paula Williams: Yeah, B2C, right? Paula Williams: Okay, so you want to have a different message for each persona. And that doesn’t mean that you’re being dishonest, right? John Williams: As long as the facts are the same. Paula Williams: Right, exactly. So you want to be telling the truth all the time, to all people. But you also want to be tailoring your discussion. So that the details and emphasis are different for each person. Because each person has different things that are important to them. And we don’t care about some of the things that are going to be really important to somebody else. John Williams: Just as if you were interviewing for different positions within a company or different companies, you will tailor your interview, I mean your resume. Paula Williams: Exactly, so when you’re talking to the CFO, he’s going to want to know how much does it cost and what’s the ongoing operating costs and all of those kinds of questions. Your DOM really wants to know if he’s going to get home on time, because this thing’s not going to make his life miserable being a pain to use, right? Paula Williams: Okay, all right, so if you’re in marketing, your job is to build marketing materials that have the right messaging and targeting. So you might want to have products sheets or an FAQ for the DOM that’s different than your product sheet or brochure for the owner of the company, right? Paula Williams: Okay, so you want to have a variety of different materials, different arrows in your quiver, depending on what you’re doing. Sales, you want to have a different elevator pitch at least prepared. You may not have the whole presentation prepared for different people. But you want to know, what are the one or two lines that are really going to resonate with each of the people that you’re talking to, right? And you’re going to adjust that and deliver it differently depending on who’s in the room. So if you’re doing a presentation to just the maintenance folks, it’s going to be a very different presentation than if you’re in a mahogany lined room, [LAUGH] delivering it to the executives. Which doesn’t mean that your facts are going to be different, it just means that your emphasis and delivery and the details that you provide are going to be different based on who’s in the room. John Williams: And what altitude you’re going to be at? John Williams: And be ready for somebody to dive into the weeds, because someone will do it, because they know. Paula Williams: Exactly, exactly, and then you won’t be surprised, if somebody unexpected happens to be in the presentation. Because you got an elevator pitch already to go for the chief pilot, if he happens to show up. You just address that to him, but you keep the general content of your presentation at the level of the rest of the folks in the room, right? Paula Williams: Okay, cool. All right, so now let’s talk about the fact that B2B this is not what you’re going to want to hear, requires longer aviation marketing campaigns. So if you’re in B2B sales, this is going to take a while. So resign yourself to the fact that this is not going to be a quick process usually. Sometimes people are in a hurry, and they’re going to just write a check really quickly. But for the most part, you want to prepare for the worst, and that means digging in for a long pitched battle, right? Paula Williams: Okay, so this is a fairly typical thing that we’ve seen. Let’s say that you have a company that you want to do business with. It’s on your top ten list of companies that you want as your ideal customer, right? And so you target that company and you identify the fact that there is a person that is going to be at a trade show you’re going to be at. So you make an appointment with Steve, who is in one of the key positions you’ve decided, that you want to meet with. And he’s going to be at a trade show, so you make an appointment. And you meet with Steve, and you have coffee, so far so good, right? Paula Williams: Okay, so you connect with Steve on LinkedIn the day after the show and you follow up with him on the questions that he had, have a nice conversation. You send him a direct mail package that has your brochure and your CV. And a bunch of other stuff that really represents your company well and makes you look good. Then Steve, you may want to follow up with a phone call. In fact, you probably should follow up with a phone call, and say ,did you get my package, did it make sense? Did you have any other questions now that you’ve had a chance to talk to some folks in your office and so on. So then Steve is going to say, yeah, this is great, let’s do this. Why don’t you send a package to my boss, Frank? Because I really want him to see this and I want to be able to talk to him about it, and I don’t want to give up my package. So you send a package to Frank, all right? Paula Williams: Then we connect with Frank on LinkedIn, right? Because of course, we want to let him know who we are and let him know that we’re real people. And let him see who we’re connected to and all of those wonderful things that LinkedIn does. And then we email our newsletter to Steve and Frank, because it is time for us to send a newsletter and we do that once a month. And that’s something that happens every month, it makes us look more credible. And also gives us another excuse to touch base with Steve and Frank without picking up the phone again and driving them around the bend, right? John Williams: Don’t want to do that. Paula Williams: No, exactly. Okay, so at some point, we’re going to schedule a sales presentation. And this may take another five emails and another five phone calls anywhere along this process. So we schedule a sales presentation, Steve and Frank both invite a bunch of other people to that sales presentation. One of the people we get introduced to is Susan. So we do a GoToMeeting with Steve, Frank, Susan and a bunch of other people. We’ve determined that Susan is probably a pretty important person to this purchasing decision. So then we connect to Susan on LinkedIn [LAUGH] and carry on from there. So once we’ve done that, then email a newsletter because once again a month has passed. And we’ve been doing calls and everything else for quite some time. But then we email our newsletter or send in the mail our newsletter to Steve, Frank, and Susan. John Williams: And understand this is not just one a month, we do this. John Williams: Weekly, but we do it to multiple companies with multiple people. It’s a very busy way, but necessary way to get things done. Paula Williams: Exactly, so some of this is going to need to be automated. And we use a system actually that sends those newsletters out, so that’s it’s not a constant chore for that. So we might send a printed newsletter monthly, and an email letter weekly. But some of these steps are automated, so we have a list that has just grown by three people since we went to this trade show. John Williams: And that’s just on this one company. John Williams: And that’s while the rest of the staff is doing work for the people who have already signed up. Paula Williams: Right. So this is a long process, there is no alternative to being a long process. John Williams: There’s no easy button. Paula Williams: Exactly, and the reason is because Steve, Frank and Susan have to have conversations. They have to do a budget, they have to do all of the things that they do running a big company. And in order to come to the conclusion that they want to buy our product or service and implemented and do all the other things that they need to. It’s going to take a while especially if it’s a complex product or service. So we just have to resign ourselves to the fact that there’s going to be a lot in this process. But we can automate a lot of it and we can make it easier on ourselves by. John Williams: And a reasonable response somewhere along the way was yeah, we want to do this and yes we’re going to do this. But we have to put the numbers into the budget for next year, keep talking to us. Paula Williams: Exactly, and you’ve been on both ends of that. Paula Williams: So sometimes people call you every week or every month, and you just talk to them for a week or month or a year before you make a purchase. John Williams: I tell them, call me back next time, so I don’t forget. But you’re definitely in there, we just have to get the thing working. Paula Williams: Right, so this is all normal. This is not people putting you off, this is not something you get upset about, this is just business as usual. We have, I swear every single time we consult with a new client, this topic comes up sooner or later if they’re in business to business. How many calls do I have to make before I write somebody off and decide that they are just wasting my time, and the answer is as many as it takes. Paula Williams: Until they buy or until they die, you keep calling them, or until they tell you they’re not interested. And you give them permission, you say, if you’re not interested, I’m perfect fine with that. Just let me know, that’s often a good way to take the pressure off the situation on both sides. But just understand that you’re just going to have to make your pipeline bigger. And have more, maybe 10 is too few, if you have to make more sales than that. Maybe each salesperson should have a top 10, or a top 20, depending on how busy you are and how many other duties you have to perform. So top ten’s a good number, but it does take time. Also the speed of the sales process decreases as the size of the transaction increases. Paula Williams: Sometimes, okay, so once again [LAUGH] expect to make lots and lots and lots and lots and lots of phone calls, right? John Williams: Yeah, I mean we used to have a quote from some source that tells you that most people quit calling on the second or third call, and it takes at least 12. 80% of the sales are on the 12 subsequent calls. Paula Williams: Exactly, and that was from the Direct Marketing Association, and that was actually about business to consumer marketing. So business to business is actually even worse than that. We’ve had it not be uncommon to have 20, 30, 50 calls. John Williams: Or at least connections made. Paula Williams: Yeah, whether that’s a call or an email or a Tweet or whatever it is, depending on the company or the style of the person that you’re talking with. But for the most part in the aviation industry, there are a lot of [LAUGH] calls involved. But we do like to alternate or at least interspersed those calls with other types of connections. So other things that you can do are a printed or emailed newsletter. Printed is better, but it is more expensive. It is more effective, but it’s more expensive. Getting a printed newsletter from you will jog their memory, let them know more about your company. It’ll build credibility, let them know other things that you sell. Other people that you’re working with, you can include testimonials and special deals. Other things like that in your newsletter that might speed the process along, right? John Williams: And if it’s interesting they’ll probably take it and get a cup of coffee and sit back and relax for a few minutes and glance through it. Paula Williams: Right, and it’s just kind of a low key way of keeping in touch with them. So that every single time you talk to them, you’re not making a sales pitch, right? Paula Williams: Okay, another thing we like to do are direct mail packages. We like to do this at least quarterly. We usually do Valentine’s Day, Halloween, 4th of July, and one sometime in the winter, Thanksgiving, that kind of thing. John Williams: Not Christmas, but Thanksgiving. Paula Williams: [LAUGH] Right, not Christmas because everybody gets stuff at Christmas, and they’re usually out of the office anyway. But once a quarter or so, the people on our top ten list get something in the mail. Just so that we have a reason to connect with them. It doesn’t have to be extensive, but it’s ideal if it’s something other than paper. Because it’s more likely to get passed the gatekeeper, and actually get to the person we want to talk to. Paula Williams: And parade candy for the 4th of July and so on with our specials. That’s just another nice opportunity to connect that’s not a sales call, right? Paula Williams: Okay, and then the last thing of course, any opportunity to connect with people is a good one. But meeting them in person, so networking events, association dinners, trade shows. And you never want to miss a chance to be in the same room with the people who are on your top ten list right? Paula Williams: Golf tournaments, fly ins, pancake breakfast, whatever it takes. John Williams: $100 or $1,000 hamburger, whatever it is. Paula Williams: $100 hamburger, $1,000 hamburger. [LAUGH] Right, okay. So yeah, it helps if you like the people on your top ten. [LAUGH] Because you’re going to be spending a lot of time talking to them and listening to them, most specifically. In fact, if you get used to giving them a call once a week and saying so, what’s new in your world? We talked a week ago, if they want to talk about their kids, they want to talk about their whatever. If you can be a good listener on that, that’s usually honestly a pretty good use of your time. If you get to know them and get to the point where they feel like working with you would be a comfortable thing to be doing, right? Paula Williams: Okay, and we like our clients, which really makes things a whole lot easier. I think right now we like all of our clients, which is really nice. Paula Williams: It wasn’t always that way when we were working in the corporate world, right? Paula Williams: But now we get to pick them, so that’s really nice. It’s a privilege that we don’t take lightly. Okay, so business to business tools that we like as we mentioned. This is a long sales cycle and there is a lot of moving parts so anything we can do to make it easier and make sure we don’t drop the ball is a good thing. So Infusionsoft is a CRM that we use to automate emails and also automate tasks to ourselves. So I can have Infusionsoft send me an alert saying, you need to call this person because you promise to call him before the end of the month, and I keep all of that stuff in Infusionsoft. Whatever you use as long as there’s one system and everybody uses it and everybody uses it religiously, that’s the most important thing. So there’s people that use SalesForce or Sugar or any number of things and as long as you use it that’s great. We just happen to like Infusionsoft because it has a lot of marketing automation, right? Paula Williams: Yeah, Leadfeeder is another good thing. It will let you know if someone from a particular company visits your website. Which is really nice because then that gives you an opportunity to call them and say, we usually don’t let them know. [LAUGH] We saw you looking at our website. We just tell them, we have some specials on press releases going on this month. So if that’s something that you’re interested in let’s talk before the end of the month and maybe we can save you some money. It just gives us an opportunity to do that. We love LinkedIn. Once again, low key way of keeping tabs and getting in touch with people. Our sales call checklist, that’s a free checklist you can download. And the neat thing about the checklist is that at the end of the checklist it reminds you that there are three conclusions, three successful conclusions to any sales call. Those are yes, no, or not yet. And if not yet, call me back in a month, call me back next quarter, whatever the situation is. So you always have them telling you what the next step is in the process, and you always go through that process in a way that’s low key and comfortable for everyone. We really love press releases because we like getting noticed by, this is actually Pilot Partner, one of our clients that has been in AviationPros. And APOS, Debrief Daily, NPR, Marketplace, The MoneyShow, Fox, NBC, ABC, Emoney Daily, The Digital Journal, lot of different places. 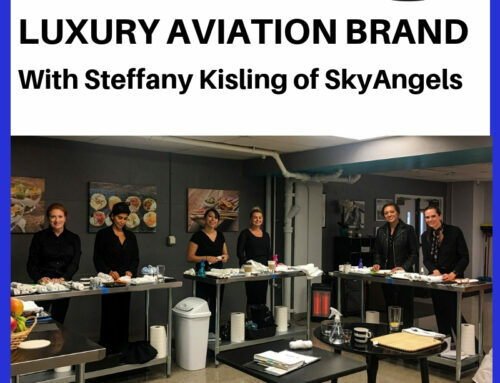 When we do press releases for people, we like to get noticed in the aviation and mainstream Media. Because what that does is it builds our credibility and then it gives us something to talk about when we do those sales calls. And say I don’t know if you noticed in last weeks aviation ebrief, there was an article about Pilot Partner and our new CFI dashboard. And how that works and how that saves a lot of schools a lot of time, and saves a lot of students a lot of time in their training process. Is that something that’s interesting to you? Would you like me to send you a copy? And that’s not a sales call, here’s something interesting Interesting that you might find relevant. Another thing that we like is having a blog, because once again, we can publish materials on a regular basis, we like having a podcast for the same reason. Builds our credibility, gives us something new to talk about all the time, right? [LAUGH] Of course, I do more of the talking than you do. John Williams: No, but- [LAUGH] You’re the rock star here. Paula Williams: Another tool that we like is having a checklist. And this is actually a checklist that we built about the things that we wish people would ask before they engage with a marketing company. Because not everyone does this everyday, and whatever product or service you offer, it is likely that your customers don’t deal with this every day. So they don’t know the right questions to ask. So this checklist kind of defines the rules of shopping, and let’s them know here the things that you should be looking into before you make a decision. Last thing on the list is testimonials. This is a testimonial for WX24 Pilot by Rod Machado. Which was really cool because Rod Machado’s a well known instructor and kind of a celebrity in his own right. And so having a testimonial from somebody who’s well known and influential among your prospective customers really helps a lot, right? John Williams: Yes, it does. 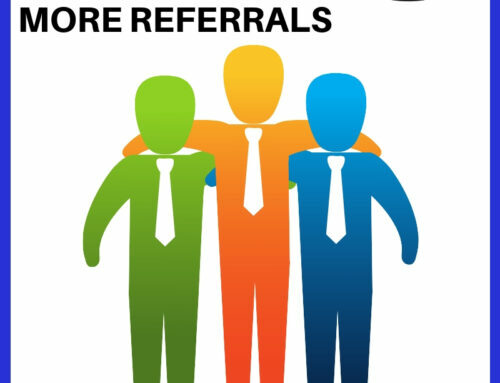 Paula Williams: Yeah, so testimonials are always good, but some testimonials are even better, when they come from somebody that your customers know. Okay, so those are tools, things that can make it easier and make your sales cycle shorter in business to business, right? Paula Williams: Okay, cool, so if you want to get more material and to kind of fill out your business to business sales cycle. You need more things to talk about, more things to send people, more stuff to put in your newsletters, more things to send emails about and so on. Paula Williams: The world. Including the aviation press and the mainstream press and that’s even better, right? Paula Williams: Every company has great stories. It’s just a question of finding the right angle to make them newsworthy. And we have a special through July 31st, if you’re listening to this any time during July 2017. 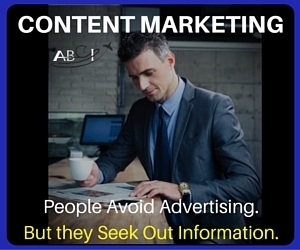 We will provide a bonus press release if you do our content marketing subscription. 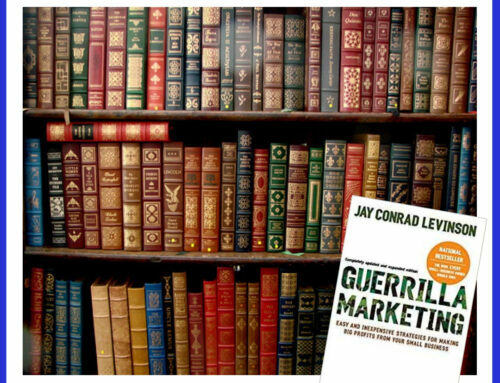 And what that content marketing subscription is, is basically we plan, write, edit, publish and publicize one article per month. And you approve every step of the process, right? It’s our best selling product right now I think, is that right? John Williams: I believe it is. Paula Williams: Yeah, [LAUGH] and for a good reason because you really want to have somebody who knows aviation writing your materials. And you also want somebody who has a really good relationship with a lot of the aviation media, building those press releases and getting those hopefully placed. We can’t guarantee placement in any particular publication. But we have a pretty good record of getting those noticed by the people who will find them the most interesting and newsworthy, right? Paula Williams: Okay, all right, so go sell more stuff. John Williams: America needs the business. It’s our favorite buddy Zig Ziglar’s quote. Paula Williams: Absolutely, and do subscribe to our podcast on Stitcher, Google Play, iTunes, wherever fine podcasts are sold or given away or downloaded from. And please do also leave us a review. If you leave us a good review then more people will find us. And less people will be committing random acts of marketing, or wasting their money on marketing that doesn’t work. And what’s good for the industry is actually good for all of us, right? Paula Williams: Okay, so you have a great afternoon, and we’ll see you next week. Aviation Marketing Technology and Techniques – Why Are We Behind the Times? What’s the Best Marketing Tool for Aviation? 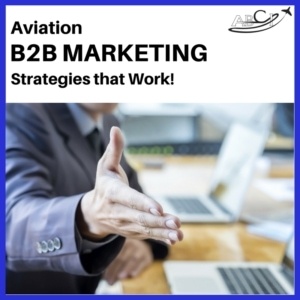 Aviation B2B marketing strategies are different from the retail marketing most people learn in business school. This is true for TWO reasons! John and I talk about the differences, and how to be successful at this very specialized niche.